Racking up college debt, is it still worth it? Suppose you were given $250,000. No catch, no taxes, you can spend it any way you would like. Let’s also say you can get into any college you want. You can spend those $250,000 any way you would like. Want to buy a new Porsche 911? You can buy one. Want to save for retirement? Open an IRA. What if you made the decision thousands of Americans make every year? You spend all $250,000 attending a four year Ivy League university. When you get out, you will have no money, but a treasured Ivy League degree. What if you only spent $125,000, and paid in-state tuition for a public university? Is an Ivy League degree really worth $125,000 more than one from a state school? With the $125,000, you could invest in a business, begin building up savings, have some emergency funds. When I asked some ETHS students my age how they would spend their money, I received a variety of responses. In my opinion college is worth the high cost, because later in life a degree from a top institution will pay dividends. The amount more that you make will be more than the amount that you had spent. I would probably spend the money on a college that had the best program for me. I wouldn’t go to a college just for the sake of going to a reputable college, but I would definitely use the money on a college that I thought would give me the type of education I need to be successful with whatever I was aiming to do. Putting money away would be a plus. Now let’s say you don’t have $250,000, in fact, you have no money saved for college. Let’s also say you can get into any college you apply to. Is it worth going into $250,000 in debt for a prestigious degree? Or, to look at it in another way, $30,000 a year for 10 years following graduation (if college loan rates are 4%, for the 10 years, after the initial 6 month grace period.) If paying that loan back sounds hard, it is. Only 38% of those with college loans are actively making their payments. Today, student loan debt surpasses $1 trillion. Going to an expensive college is an unwise investment, if students have to take up substantial debt. Too much debt can actually prevent college graduates from going into their chosen professions. For example, some graduates are forced to turn down unpaid internships in their field for low paying jobs, simply because they must pay off their debt. Even if one can start out in one’s chosen profession, it is a terrible burden to have so much debt. This debt actually has had a very negative economic impact across the board. Because of college debt, people are waiting longer for big ticket purchases such as houses and cars. College debt has also been linked to people waiting longer to get married, which has a negative effect on the economy. There are counterarguments to the theory that spending money on expensive colleges is not worth it. Many students receive financial aid, though it is important to know that financial aid also includes loans (which must be paid back). 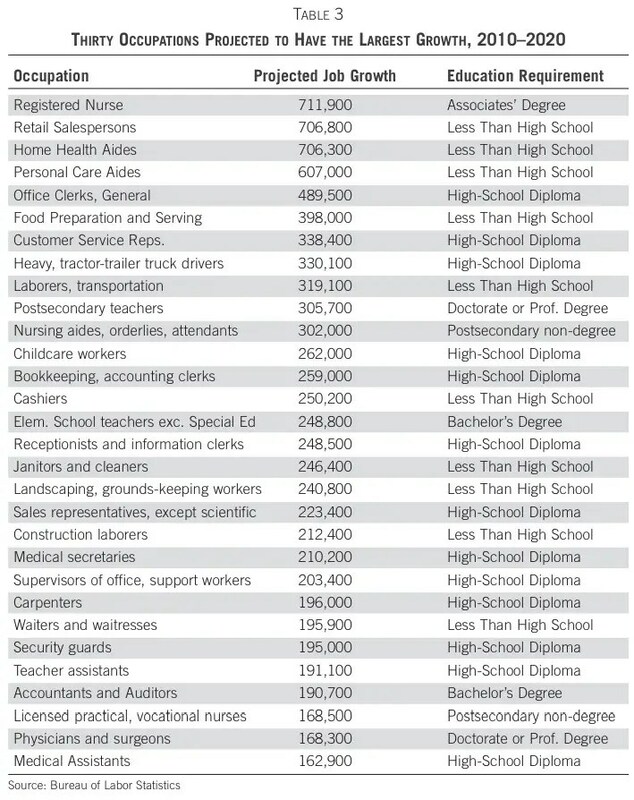 Choosing certain degrees and professions can help students earn more money: The average starting salary for a doctor is around $200,000, whereas the average starting salary for a teacher is $35,000. College certainly has benefits that are not economic, (relationships, education, and some would say partying) but not from a purely economic perspective. Some argue, that the purpose of college is not to prepare students for a job, but to make them “global citizens.” While this sounds like a good characteristic to have, is it worth debt, or a huge investment? In a time when 29% of college graduates live with their parents, and 53.6% of college graduates are underemployed, for some even going to college is not worth taking up debt. Young college graduates are working in jobs that require a high school diploma, or less. 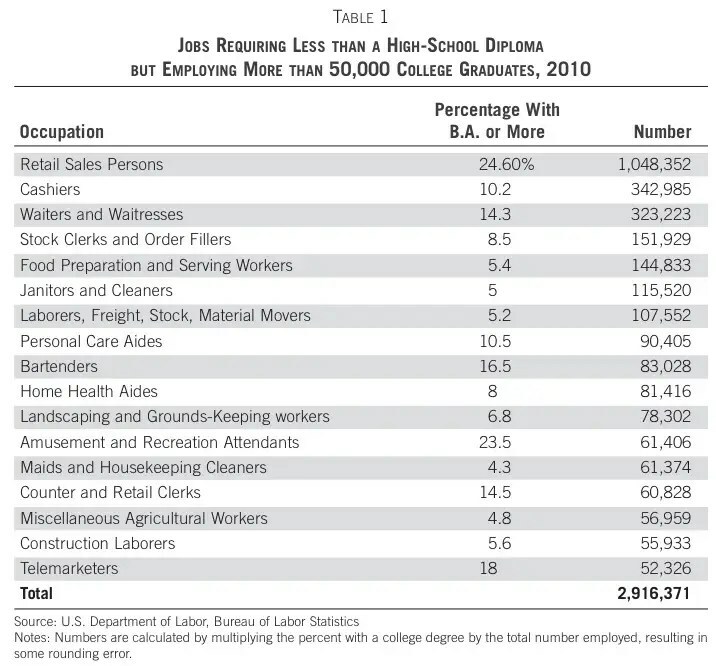 It is interesting, that today, with such high unemployment, there is actually a skilled labor shortage. These jobs, such as machinists, plumbers, and mechanics, require no high school degrees, but participation in apprenticeship programs, and experience. 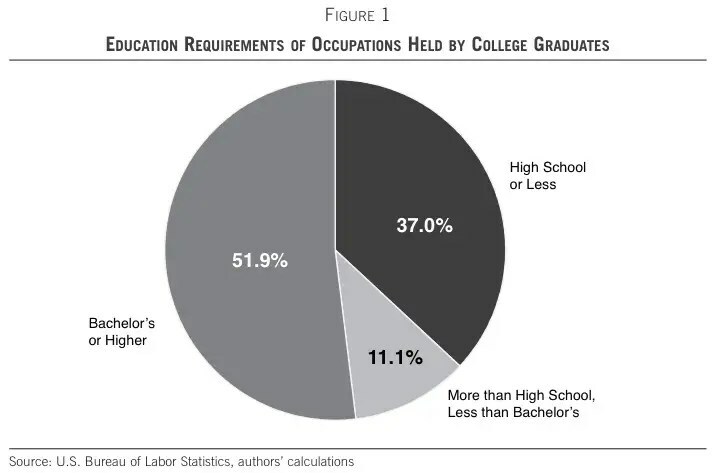 In other countries, such as Germany, only a small portion of the students attend college, (30% versus 66% in the US) while most join apprenticeship programs, which are very inexpensive. People need jobs that allow them to pay the bills, have a little fun and save some money for later. This can be really hard to do if you have $8,000 in student loan payments each year and a job that pays $38,000 per year. When considering an investment in college, it is important to understand that there is not one set price for college. In state tuition for state schools can be less than half the price of Ivy League schools. It has been proven that graduates of the Ivy League and other top schools tend to make more money than those without Ivy League degrees. But, it is important to consider, that most Ivy League schools have acceptance rates under 10%, guaranteeing only the best of the best are accepted. The question to ask, is whether these students make more money because of the schools that they have attended, or because they are intelligent, hard workers. If all the students from a $250,000 school moved to a $125,000 school, would they necessarily be less successful? The answer seems to be that Ivy League schools are not what makes the difference: only 14% of Fortune 500 CEOs went to Ivy League schools. Now, it is important to understand how much tuition has risen over the past 20 years. Much faster than inflation. This is largely due to colleges spending more and more money on fancy buildings, famous speakers, and high professor salaries in order to attract better students. Because there is a such large supply for talented students, and a great demand for top universities, the average Ivy League tuition (including expenses) is now about $60,000 per year. I predict that within the next 10 years, there will be intense competition between traditional colleges, and their online subsidiaries, offering inexpensive degrees. This could possibly lead to a fall in the cost of college tuition, making college a much better investment. The high cost of tuition is causing people to question the value of expensive education. The decision to go to an expensive college, or to college at all, is a very personal decision. However, it is important to step back, and think about whether one is getting a good return on investment when choosing a college. As always, please comment with your opinion in the section below. Nicely written, Noah. Can’t wait to see what YOU decided to do. P.S. – Don’t hold your breath on the Ivy league schools cutting costs any time soon. P.S. Did you take this photo of the Penn quad? I wish I did. I just searched up colleges and took a nice stereotypical image, which did happen to be the Penn quad.